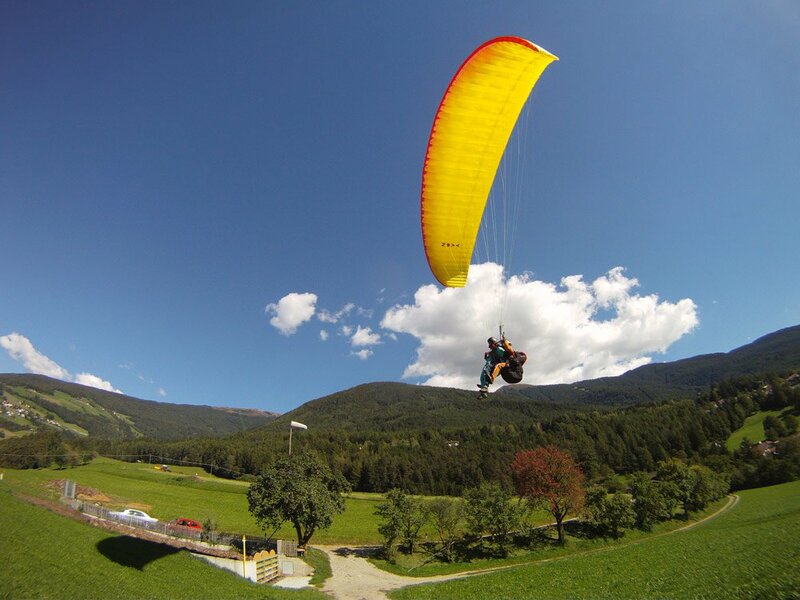 A tandem flight with a paraglider is a truly unforgettable adventure set in the mountains of South Tyrol. How did you like your flight? Write your impressions and suggestions in our guestbook! 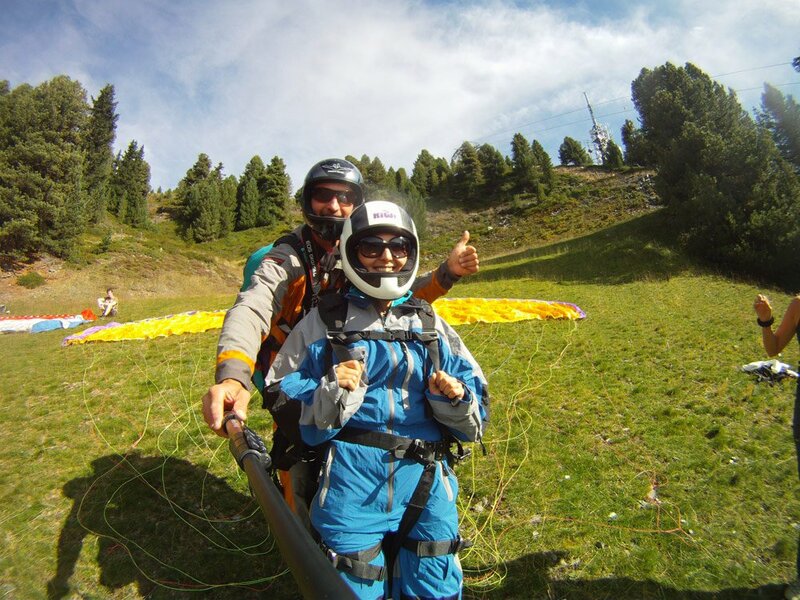 On the local mountain of Bressanone – the Plose – there are three different launch sites for tandem flights with a paraglider. Generally, the cable car will take you to the mountain station Val Croce. Right next to the mountain station, there is the launch site "Trametsch Ski Slope". It is located north of the cable car station at an altitude of 2,055 meters. The launch site "Schönjöchl" lies at an altitude of 2,300 meters and can be reached after a 20-minute walk from the mountain station of the cable car. The small hill is surrounded by meadows and forests. The highest launch site for paragliding on Mount Plose/Isarco Valley is located on 2,474 meters above sea level and is called "Telegraph". It is located next to a mountain lodge and is also accessible by SUV. In the valley below Mount Plose, there are two landing sites, which are accessible to paragliders. 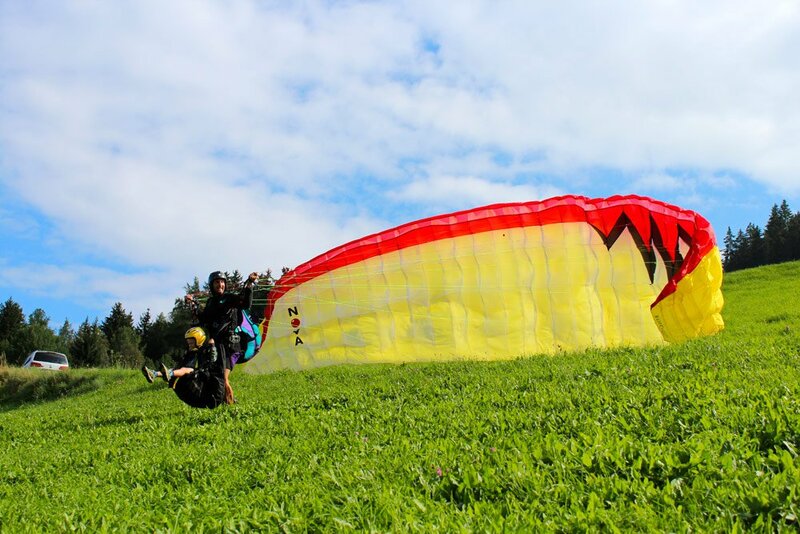 One landing site is located in Mairdorf – it is suitable for 1-seater and 2-seater paragliders. The second landing area is located in Millan. 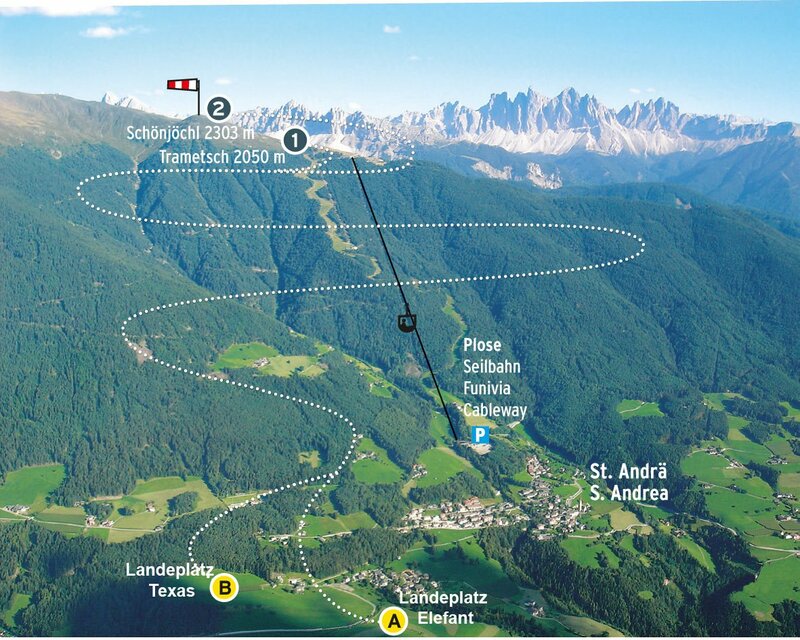 Both landing sites are close to the valley station of the cable car in S. Andrea/Bressanone and can be reached both by foot and by car. Write us to get more information. No idea for a gift? 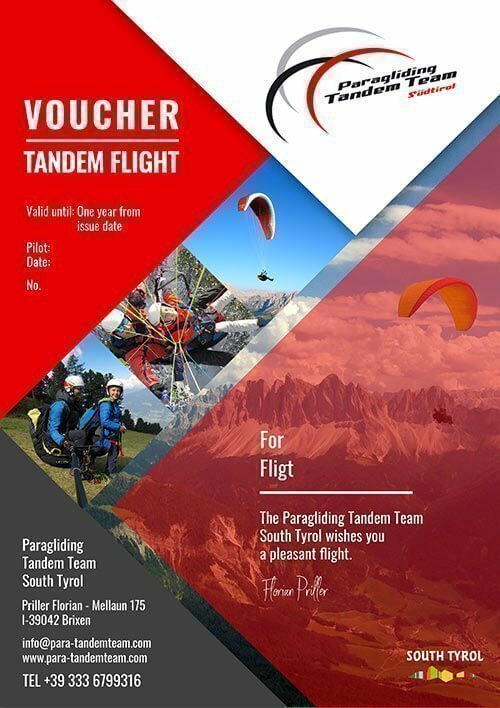 What about a coupon for a tandem flight?